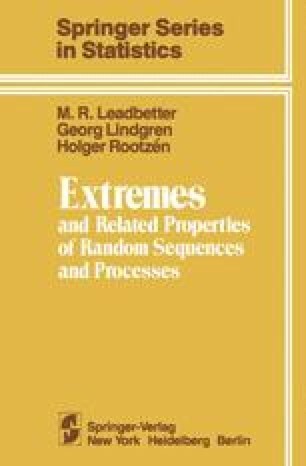 In this chapter, we extend the classical extreme value theory of Chapter 1 to apply to a wide class of dependent (stationary) sequences. The stationary sequences involved will be those exhibiting a dependence structure which is not “too strong”. Specifically, a distributional type of mixing condition— weaker than the usual forms of dependence restriction such as strong mixing—will be used as a basic assumption in the development of the theory.